Beneath the sewers of the Paris Opera House dwells a masked figure. He is the Phantom, a hideously disfigured composer whose dream is to turn chorus singer Christine into a diva. 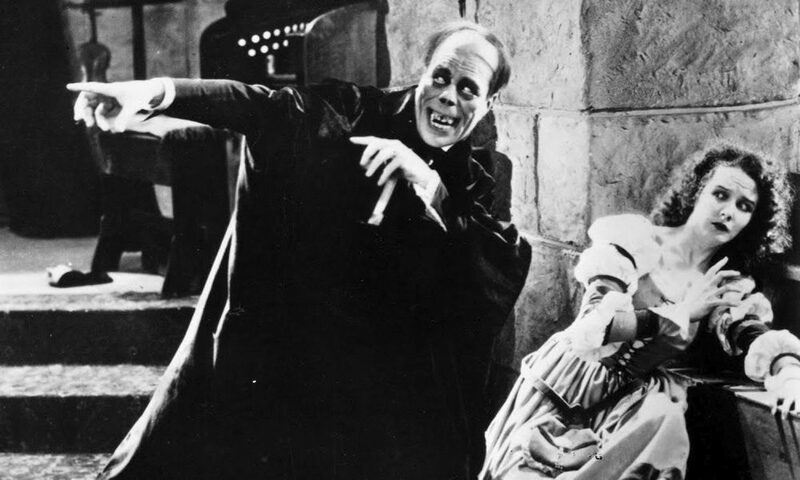 Lon Chaney, the “Man of a Thousand Faces”, dominates this classic adaptation of the 1910 novel. His ghastly make-up and outrageous performance made this one of the great classics of American silent film. Film critic Roger Ebert said in 2004 that “it has always been a question whether The Phantom of the Opera is a great film, or only a great spectacle.” Either way, to see this film in 1925 was a truly shocking experience. Fast-moving and exciting, the film is a dramatic tale of obsession, kidnap, murder and revenge, beautifully tinted throughout and featuring an impressive sequence of early Technicolor as the Phantom appears at a Masked Ball. Minima have specialised in live accompaniment to screenings of silent films since 2006. Their electrifying new score for The Phantom of the Opera captures the horror of the story, but also finds pathos, romance and humour. Drums, bass, guitar and cello strike up a thrilling relationship with the film, following the Phantom down into his subterranean nightmare world. Buy one adult ticket and get a free child ticket (under 16 yrs).